To kick off our 6th Annual Credit Building Symposium, we will host a Pre-Symposium Practitioner Day on June 12th. 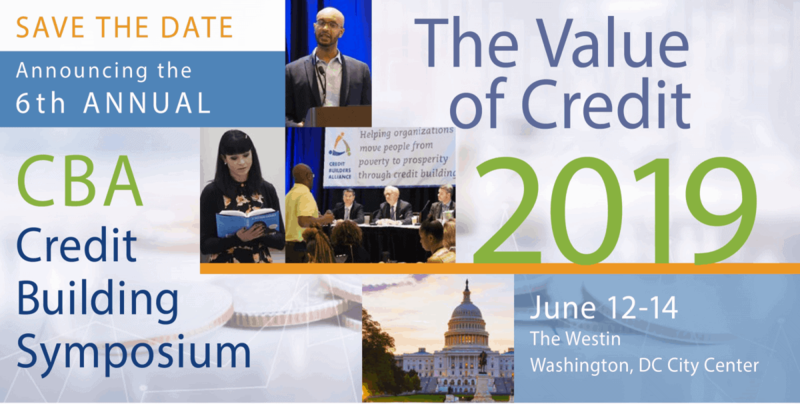 Click here to register for the 2019 Credit Building Symposium and Pre-Symposium Day! The Practitioner Training Day will offer an in-depth and intensive exploration of credit scoring, coaching, reporting, and the integration of credit building into financial capability and asset building programs. This session is designed for financial coaches, counselors and asset building practitioners who wish to deepen their knowledge and strengthen programs. There will be separate tracks for credit reporters and credit coaches/counselors as well as numerous joint sessions. Don't miss the beloved FICO bootcamp to stay fresh with your messaging around FICO® Scores! This event is offered at no additional cost for CBA Members attending the Credit Building Symposium on June 13-14th. AFCPE Professionals are eligible to receive 6 CEUs for attendance.